Mariano Moreno (September 23, 1778 – March 4, 1811) was an Argentine lawyer, journalist, and politician. He played a decisive role in the Primera Junta, the first national government of Argentina, created after the May Revolution. Along with Juan José Castelli, he promoted harsh policies against the supporters of the former government and the strengthening of the new one. Moreno organized military campaigns to Paraguay and Upper Peru, and ensured the execution of Santiago de Liniers after the defeat of his counter-revolution. He established the first Argentine newspaper, La Gazeta de Buenos Ayres, and translated Jean-Jacques Rousseau's The Social Contract into Spanish. Manuel Máximo Alberti (28 May 1763 – 31 January 1811) was a priest from Buenos Aires, when the city was part of the Viceroyalty of the Río de la Plata. He had a curacy at Maldonado, Uruguay during the British invasions of the Río de la Plata, and returned to Buenos Aires in time to take part in the May Revolution of 1810. He was chosen as one of the seven members of the Primera Junta, which is considered the first national government of Argentina. He supported most of the proposals of Mariano Moreno and worked at the Gazeta de Buenos Ayres newspaper. The internal disputes of the Junta had a negative effect over his health, and died of a heart attack in 1811. Miguel Hidalgo y Costilla ( 8 May 1753 – 30 July 1811) was a Mexican priest. In 1810 he led a group of indigenous and mestizo peasants in a revolt against the dominant peninsulares under the banner of the Virgin of Guadalupe. After clashes with the criollos and Mexican townspeople the group disbanded. Hidalgo was captured on 21 March 1811, and executed on 30 July. Hidalgo's rebellion was the beginning of what would become the Mexican War of Independence. Although he was unsuccessful in his original aim, Hidalgo's efforts were followed by those of José María Morelos and Agustín de Iturbide who brought down the colonial governments of Spain in Mexico. Hidalgo is considered the Father of the Nation of Mexico. Manuel Belgrano (3 June 1770 – 20 June 1820) was an Argentine economist, lawyer, politician, and military leader. He promoted the May Revolution to depose viceroy Cisneros, and was appointed to the Primera Junta. He waged the ill-fated Paraguay campaign and the second campaign to the Upper Peru. He created the flag of Argentina, and his victories at Tucumán and Salta prevented the royalist capture of Buenos Aires. Juan Larrea, Spanish businessman and politician, (Catalonia, Spain, June 24, 1782 - Buenos Aires, 1847) was an established immigrant in Buenos Aires around the year 1800 and in 1810 participated as a committee member in the Primera Junta. He was only one of the two Spanish-born accepted as committee members of the Junta, (the other one being Domingo Matheu). He was part of the Asamblea del Año XIII and presided over the three-day sessions that established the national anthem, ended slavery, abolished all titles of nobility, the use of torture and the Spanish Inquisition. He was Economy Minister of the United Provinces of the Río de la Plata (today's Argentina) on October 1812, where he was a strong proponent of the establishment of a naval force commanded by William Brown. Admiral Thomas Cochrane, 10th Earl of Dundonald, 1st Marquess of Maranhão, GCB, ODM (14 December 1775 – 31 October 1860), styled Lord Cochrane between 1778 and 1831, was a senior British naval flag officer and radical politician. He was a daring and successful captain of the Napoleonic Wars, leading the French to nickname him Le Loup des Mers ('The Sea Wolf' or 'The Wolf of the Seas'). He was dismissed from the Royal Navy in 1814, following a conviction for fraud on the Stock Exchange and he then served in the rebel navies of Chile, Brazil and Greece during their respective wars of independence. In 1832, he was pardoned and reinstated in the Royal Navy with the rank of Rear Admiral of the Blue. After several further promotions, he died in 1860 with the rank of Admiral of the Red, and the honorary title of Rear-Admiral of the United Kingdom. Juan José Castelli was born in Buenos Aires, and attended the schools Real Colegio de San Carlos and Monserrat in the city of Córdoba, during his youth. He graduated as lawyer in the University of Charcas, at the Upper Peru. His cousin Manuel Belgrano introduced him to the public administration of the Viceroyalty of the Rio de la Plata. Along with him, Nicolás Rodríguez Peña and Hipólito Vieytes, Castelli sought a revolution to replace the absolute monarchy with the new ideas of the Age of Enlightenment. He led the Buenos Aires patriots during the May Revolution, ending with the removal of viceroy Baltasar Hidalgo de Cisneros from power. He is known as the "Speaker of the Revolution" for his speech during the open cabildo held in Buenos Aires on May 22, 1810. Castelli was named Committee member of the Primera Junta and was sent to Córdoba to end Santiago de Liniers's counter-revolution. He succeeded and ordered the execution of Liniers and his supporters. Later, he commanded the establishment of a revolutionary government in Alto Perú (today's Bolivia) with the aim of setting the indigenous peoples and African slaves free. 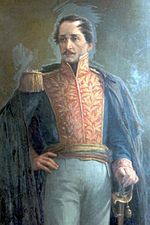 In 1811, Castelli signed a truce with the Spanish in Alto Perú but they betrayed him and caught the Northern Army unprepared. As a result, the Argentines suffered a big loss in the Battle of Huaqui on June 20, 1811. When Castelli returned to Buenos Aires, the First Triumvirate imprisoned him for the undesired outcome of the battle. Castelli died shortly after, due to tongue cancer. Baltasar Hidalgo de Cisneros de la Torre took part in the Battle of Cape St Vincent and the Battle of Trafalgar, and in the Spanish resistance against Napoleon's invasion in 1808. He was later appointed Viceroy of the Viceroyalty of the Río de la Plata, replacing Santiago de Liniers. He disestablished the government Junta of Javier de Elío and quelled the Chuquisaca Revolution and the La Paz revolution. An open cabildo deposed him as viceroy during the May Revolution, but he attempted to be the president of the new government junta, thus retaining power. The popular unrest in Buenos Aires did not allow that, so he resigned. He was banished back to Spain shortly after that, and died in 1829. Admiral William Brown (also known in Spanish as Guillermo Brown) (June 22, 1777 – March 3, 1857) was an Irish-born Argentine Admiral. Brown's victories in the Independence War, the Argentina-Brazil War, and the Anglo-French blockade of the Río de la Plata earned the respect and appreciation of the Argentine people, and today he is regarded as one of Argentina's national heroes. Creator and first admiral of the country's maritime forces, he is commonly known as the "father of the Argentine Navy". Cornelio Judas Tadeo de Saavedra y Rodríguez was a military officer and statesman from the Viceroyalty of the Río de la Plata. He was instrumental in the May Revolution, the first step of Argentina's independence from Spain, and was appointed president of the Primera Junta. Saavedra was the first commanding officer of the Regiment of Patricians created after the ill-fated British invasions of the Río de la Plata. The increased militarization of the city and the relaxation of the system of castas allowed him, as other criollo peoples, to become a prominent figure in local politics. His intervention was decisive to thwarth the Mutiny of Álzaga and allow Viceroy Santiago de Liniers to stay in power. Although he supported the establishment of a government Junta, as others created in Spain during the contemporary Peninsular War, he desired that criollos had an important role in it (the mutiny of Álzaga was promoted by peninsulars). He advised against rushed actions as well, and as his Regiment was crucial in any action against the viceroy, he denied his help until it was a good strategic moment to do so. The opportunity came in May, 1810, and the May Revolution successfully ousted the viceroy. José Francisco de San Martín, known simply as Don José de San Martín (c. 1778 Yapeyú, Corrientes, Spanish Empire – 17 August 1850 Boulogne-sur-Mer, France), was an Argentine general and the prime leader of the southern part of South America's successful struggle for independence from Spain. Born in Yapeyú, Corrientes, in modern Argentina, he left his mother country at the early age of seven and studied in Málaga, Spain. In 1808, after joining Spanish forces in the Peninsular War against the French and participating in several battles such as the Battle of Bailén, San Martín started making contact with South American supporters of independence from Spain. In 1812, he set sail for Buenos Aires from England, and offered his services to the United Provinces of South America, present-day Argentina. After the Battle of San Lorenzo of 1813, and some time on command of the Army of the North (Spanish: Ejército del Norte) during 1814, he began to put into action his plan to defeat the Spanish forces that menaced the United Provinces from Upper Peru, making use of an alternative path to the Viceroyalty of Peru. This objective first involved the establishment of a new army, the Army of the Andes, in Cuyo Province, Argentina. From there, he led the Crossing of the Andes to Chile, and prevailed over the Spanish forces at the Battle of Chacabuco and the Battle of Maipú (1818), thus liberating Chile from royalist rule. Then he set sail to attack the Spanish stronghold of Lima, in Peru, by sea. On 12 July 1821, after seizing partial control of Lima, San Martín was appointed Protector of Peru (Protector del Perú), and Peruvian independence was officially declared on 28 July. A year later, after a closed-door meeting with fellow libertador Simón Bolívar at Guayaquil, Ecuador on 22 July 1822, Bolívar took over the task of fully liberating Peru. San Martín unexpectedly left the country and resigned the command of his army, excluding himself from politics and the military, and moved to France in 1824. The details of the 22 July meeting would be a subject of debate by later historians. Miguel de Azcuénaga (June 4, 1754 – December 19, 1833) was an Argentine brigadier. Educated in Spain, at the University of Seville, Azucuenaga began his military career in the Viceroyalty of the Río de la Plata and became a member of the Primera Junta, the first autonomous government of modern Argentina. He was shortly exiled because of his support to the minister Mariano Moreno, and returned to Buenos Aires when the First Triumvirate replaced the Junta. He held several offices since then, most notably being the first Governor intendant of Buenos Aires after the May Revolution. He died at his country house (the modern Quinta de Olivos) in 1833. This page was last edited on 7 May 2011, at 15:05 (UTC).